Aspen Creek #308 REO | $224,900. This bank-owned condo at the Aspen Creek condos complex is located adjacent to the Juniper Springs Lodge Resort in the building closest to the ski slopes. Aspen Creek #308 is a 1-Bedroom & loft, 1.25-bath condo, with 1,079 square feet, and assigned underground parking for 2 cars. The unit has some upgrades, such as slate tile floors in entry, kitchen and deck, closet built-ins in loft closet. This unit is in great condition, and with 95 days on market, can be a great buy for someone looking to be at or next to the ski slopes in this price range. This listing has been reduced in price a few times... The bank is getting motivated to sell. Conventional financing is available. San Joaquin Villas #F1 REO | $255,000. This unit has 4 bedrooms, 2 baths, 1200 SF, off-street parking and low common area dues. The San Joquin Villas condo complex was originally built in 2007 as affordable housing to Mammoth’s full-time residents who qualified. The Town of Mammoth Lakes was unable to sell several of these units, so they removed the deed restrictions and began selling some of the individual units to second homeowners. There are no transient rentals or “nightly rentals” allowed at this complex per the CC&Rs (covenants, conditions and restrictions – rules of the HOA). San Joaquin Villas condos are located at the tail-end of the Sierra Star golf course, behind Mammoth Gateway Villas on Main Street, closest to the intersection of Main & Minaret. This could be a good fit for someone who is looking for ample bedrooms with shuttle bus transportation and Village at Mammoth close by. This is a corner unit, which receives plenty of natural light with some views of Mammoth Mountain. The drawbacks are that the bedrooms are very small and this unit will need quite a bit of cosmetic upgrades (drywall repair, paint, carpet, etc.). This unit originally listed for $260,000 and has been on the market for 114 days. Conventional financing is available. Down). As the days on market continue to accumulate, the bank will become more motivated. This could potentially turn into a good deal for the buyer who is looking for a renovation project at the base of the ski slopes. White Mountain Lodge #2125 REO | $423,200. This 2-bedroom, 2-bath condo with 1,041 SF, and underground parking for 1 car, is located at the Village at Mammoth in the White Mountain Lodge building. The unit is located on the first floor (one above street-level) and is being sold fully-furnished. The Village at Mammoth is the “center of it all” with shopping, dining, gondola access to the base of Canyon Lodge and regularly scheduled entertainment events year-round. The Village at Mammoth condos offer a great opportunity to generate solid rental income year-round. Because of the “condo hotel” classification, conventional financing is not possible. Although there are now some lenders who will finance a purchase at the Village at Mammoth, the rate and down payment amounts will be higher. Out of all rental-income producing condos in Mammoth, the Village at Mammoth condos provide the 2nd best rental income averages in Mammoth. The Westin Monache condos are the highest grossing rental income units. This unit has been on the market for 13 days and is structured as an auction event. Lincoln House #3410 REO | $449,400. Also located in the Village at Mammoth, this condo hotel unit features 2-bedrooms, 2-baths, 996 SF, and views towards Mammoth Mountain ski area overlooking the reflection pond, fire pit and common area swimming pool. This unit is also being sold furnished. New to the market, with only 2 days of active market time, it will be interesting to see how quickly this unit goes under contract. The most recent closed sales at the Lincoln House building are as follows: Unit 3210, 2-bedroom, 2-bath with 996 SF closed on August 1, 2014 for $425,000; Unit 3322, 2-bedroom, 2-bath with 1,008 SF closed on October 18, 2013 for $460,000. Current pending sales at Lincoln House for the 2-bedroom floor plans are: Unit 3122 (short sale) listed for $410,000 with 1,008 SF, and unit #3329 listed for $489,000 with 1,032 SF. Stonegate #3 REO | $1,085,900. This 4-bedroom & loft with den, 5-bath, bank-owned townhouse at Stonegate luxury townhomes just listed yesterday. This spacious “Lodge” floor plan offers 3,500 SF of living space, forced-air heating, attached 2-car garage and high-end finishes throughout. Stonegate luxury townhomes are located on Minaret Road, and the small complex made up of only 14 townhomes backs to the Sierra Star golf course. Construction was completed in 2007. There are only two floor plans available and this is the larger of the two. The zoning & CC&Rs allow for nightly rentals. Gross average annual rental income can exceed $95,000, which makes Stongegate condos great investments. The convenient location is a short walk to the Village at Mammoth and nearby shuttle bus transportation. 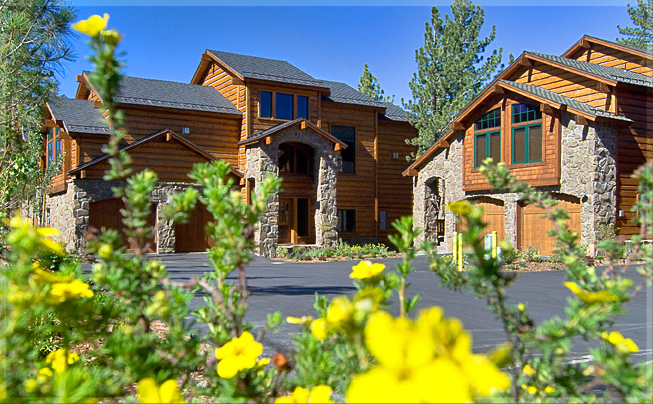 Interested in signing up for great deals in Mammoth Lakes? Let us help you find a Mammoth foreclosure or short sale opportunity. Learn of upcoming and off-market bank-owned properties before they hit the market.